Lake Emily. Each blue square is one km across. Map Sourced from LINZ. Crown Copyright Reserved. Turn right off the Hakatere Heron Road 2 kms past the Maori Lakes. Lake Emily is on Castleridge Station and permission should be sort before going on to the property. Lake Emily is almost round in shape and is some 500 metres across. Contains brook trout and brown trout. Access to Lake Emily entails a 3km uphill walk from the Hakatere – Lake Heron Road. The lake is in an open basin very much exposed to the wind; particularly the almost constant strong nor’westerlies. Walking and casting access around the lake is good. There were perch in the lake in earlier years. Of most interest to anglers Emily holds a small population of brook char or brook trout – Salvelinus fontinalis. According to Fish & Game, Lake Emily is renowned as the place in New Zealand to catch a trophy Fontinalis (brook trout). 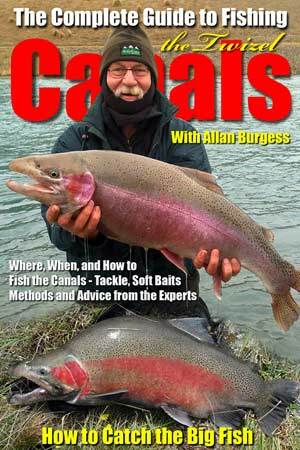 Also contains brown trout. Fish & Game are no longer stocking Emily with brown trout but did release 4,000 rainbow trout yearlings into nearby Lake Sumner in December 2013. This lake and its tributaries fall within the Central South Island Fish & Game Region. Open Season is from the first Saturday in November to 30 April. The bag limit for Lake Emily is 2 fish per day. This is fly fishing only water. There is no winter season for the Ashburton Lakes. Fishing from boats in Lake Emily is prohibited. Hakatere Conservation Park Brochure includes a good map of the area. Department of Conservation Hakatere Conservation area (Barrosa). In all nine lakes make up the area known as the Ashburton Lakes. 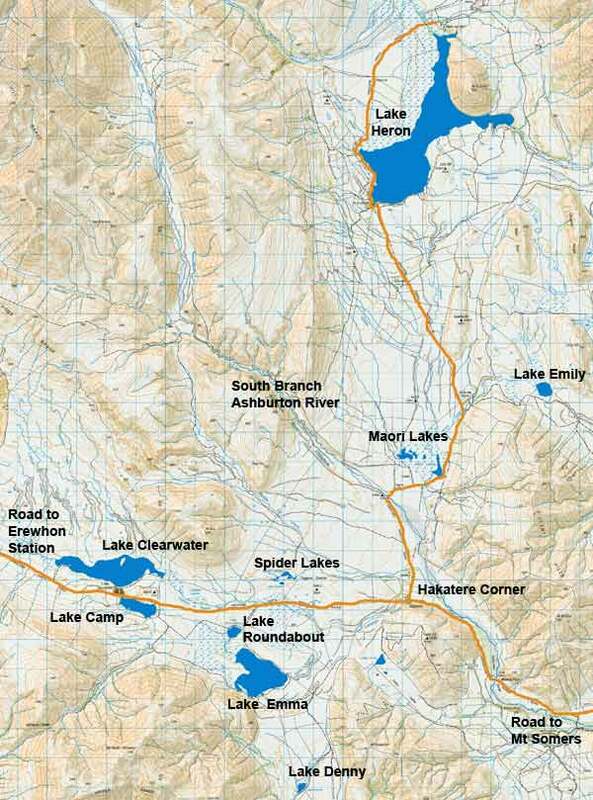 These being: Lake Clearwater, Lake Camp, Lake Denny, Lake Emily, Lake Emma, Lake Heron, Lake Roundabout, Lake Spider and the two small Maori Lakes. 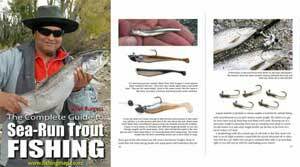 Ashburton Lakes Trout Fishing MAP. Ashburton-Lakes-MAP. 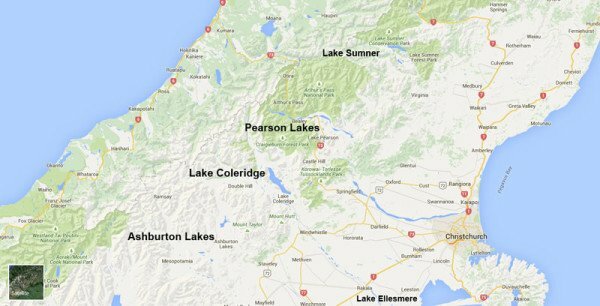 North Canterbury Region and CSI Ashburton Lakes. North Canterbury lakes together with the Ashburton Lakes which are in the Central South Island Fish & Game Region. Map courtesy of Google Maps. Click on map to enlarge.